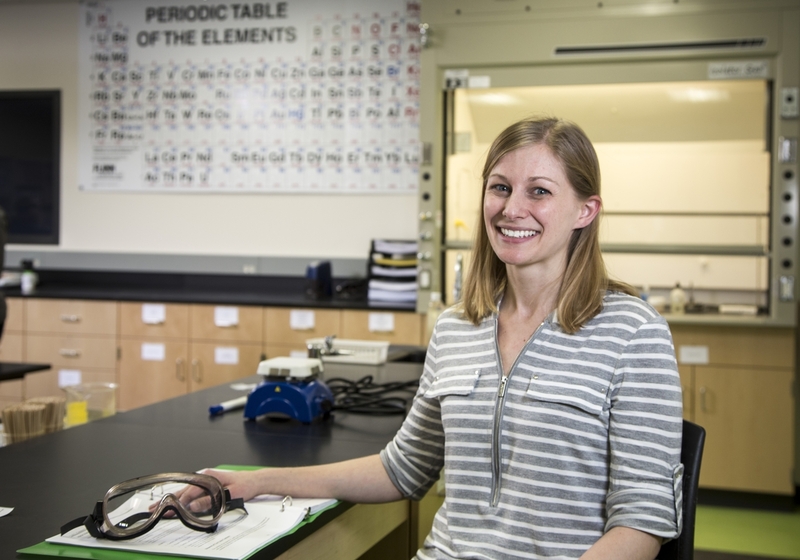 Even as a doctoral student in environmental chemistry and technology, Christen Smith wasn’t entirely sold on being a teacher one day. “I needed to figure out if teaching was something that I wanted to pursue,” said the University of Wisconsin–Madison alum who participated in the Delta Program in Research, Teaching, and Learning while in graduate school, hoping for career enlightenment. Like Smith, now a chemistry teacher at Madison College, the Delta Program has helped to prepare hundreds of UW–Madison graduate students for faculty positions in STEM fields ever since it became a founding member of the Center for the Integration of Teaching and Learning (CIRTL), established within the Wisconsin Center for Education Research (WCER) in UW–Madison’s School of Education. CIRTL’s network recently more than doubled to now 46 top research universities that collectively produce one-third of U.S. doctoral degrees in science, technology, engineering and mathematics. These learning communities provide valuable teaching resources sorely needed in STEM education. According to the most recent statistics from the National Math + Science Initiative, 38 percent of students who start with a STEM major do not graduate with one. When Zachary Handlos enrolled in his first Delta graduate course in 2011, he was assigned to lead an afterschool science club at Hamilton Middle School in the Madison Metropolitan School District. “That class pretty much got me hooked on teaching,” he shares. A self-proclaimed weather geek and tornado chaser who watched the Weather Channel religiously as a kid, he plans to teach atmospheric and oceanic sciences as an instructor at a small liberal arts college—or as a university professor—after earning his Ph.D. in May. Thanks to a Delta internship, he is definitely up for the task. Christen Smith in the Chemistry lab with Madison College students. That “learning by doing” concept is what attracted Ana Porras to the Delta learning community. “When I got to graduate school, I knew I needed to improve my teaching skills and get a lot more training,” explains the international graduate student from Colombia who is working on a Ph.D. in biomedical engineering. “First, I enrolled in a lab for international students and faculty, where I learned about different teaching theories. Then I got more involved in the program and started facilitating brown-bag discussions.” Porras was recently asked to oversee a Delta research mentor training seminar this summer. In addition to facilitating internships, Delta offers a robust schedule of courses, programs, events and resources developed on the CIRTL core ideas of teaching-as-research, learning communities and learning-through-diversity. Delta also collaborates on cross-network projects with CIRTL partners and participates in national offerings, such as MOOCs—massively open online courses—combined with local, in-person group meetings. As it turned out, that capstone teaching experience in Brazil cemented her career choice. “It was really hard and really stressful, but I realized later that I wanted to teach that course again. And if I wanted to do that, then I probably wanted to be a teacher,” she recalls.